Democratic State Senator Daniel Biss is the PAC's chairman. Biss says the campaign is meant to inform voters what their choices from the top of the ballot on down mean for the state's future. "And so, uh, people across the state who are very concerned about what Gov. 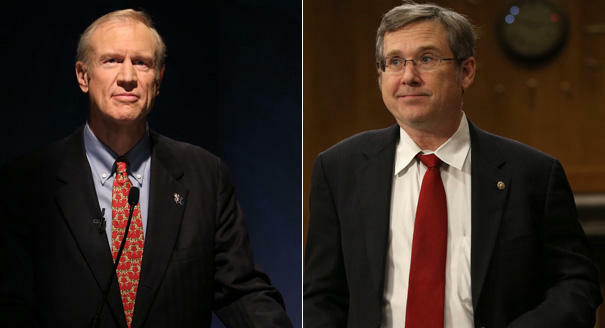 Rauner has done to politics in Illinois were generous enough to support this effort." Biss declined to say who those supporters are. But, he says contributors will be listed with the Federal Election Commission in accordance with filing deadlines. The television buy is so-far focused in northern Illinois. Biss says the plan is to expand statewide, and to unveil new ads, until the election. Rauner has gone out of his way to NOT talk about Trump and the presidential race. But, this week he said Trump's 2005 comments in a just-leaked Access Hollywood video were "disgusting." Months ago, the Republican governor said he *would* support his party's nominee. 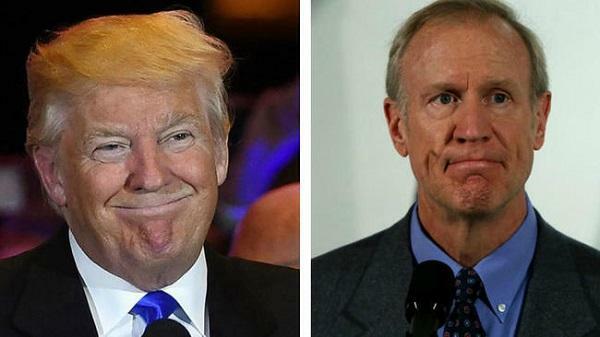 Illinois Governor Bruce Rauner is finally weighing in on specific comments made by Donald Trump. Rauner has repeatedly been asked about the presidential campaign - and why he wouldn’t talk about it despite being the state’s top Republican.